Susan Victoria Lucci (born 23 Dec 1946 in Scarsdale, New York), American actress, was born to Victor and Jeanette Lucci. 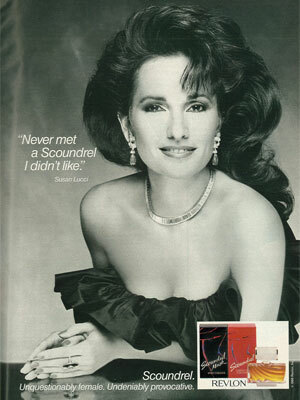 Susan Lucci, "Daytime's Leading Lady", stars as Erica Kane in the ABC soap opera All My Children. Susan has been playing the role of Erica since the shows inception on January 5, 1970. 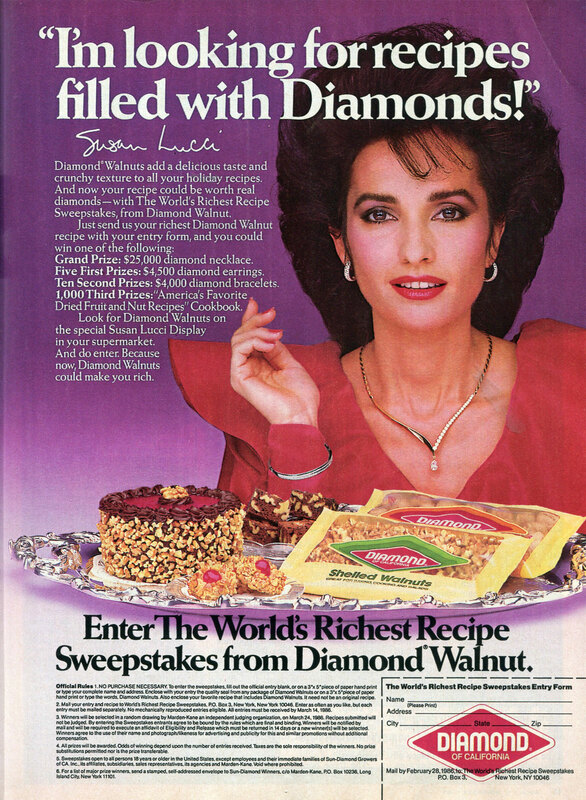 After being nominated almost every year since 1978 for Outstanding Lead Actress in a Drama series, Susan Lucci finally won in 1999. From 1999 to 2000 Ms. Lucci starred in Annie Get Your Gun on Broadway. In 2008, Susan competed in Season 7 of Dancing with the Stars, finishing 6th in the competition. Lucci earned a star on the Hollywood Walk of Fame in 2005. 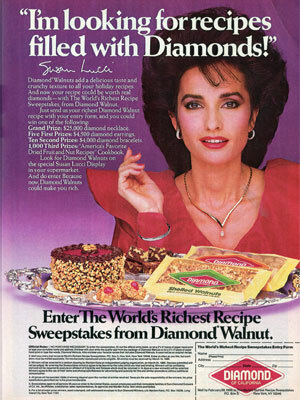 The Susan Lucci Collection of hair care products was launched in 1991. Susan launched two fragrances, Invitation and LaLucci, both finalists for the Fifi Award. In 2001, Ms. Lucci launched a jewelry, shoe, accessorie line through the Home Shopping Network. 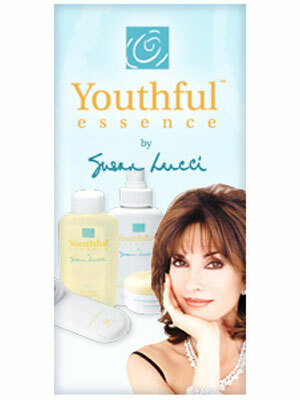 Susan's Youthful Essence, personal microdermabrasion system, was launched with Guthy-Renker in June 2002. Susan's lingerie line for "beauty of all ages" was launched in 2003. The exercise equipment, Malibu Pilates, was launched by Susan in 2008. 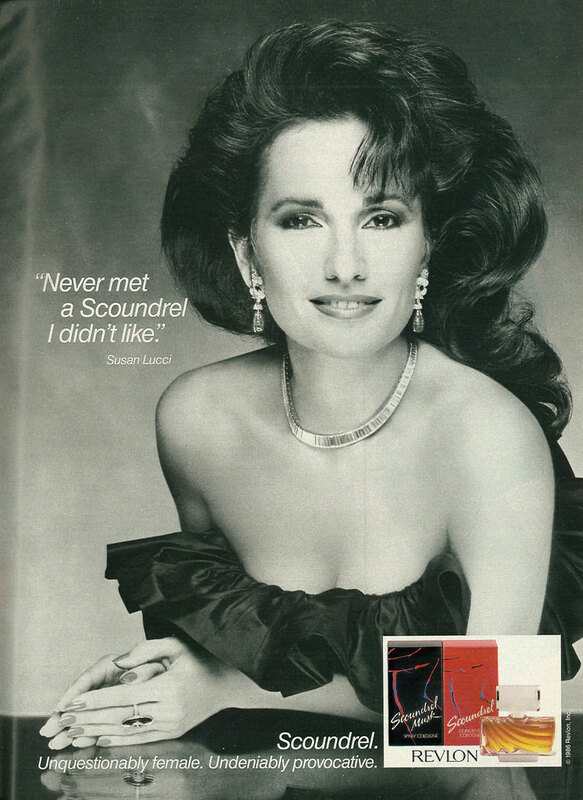 Lucci was the face of Revlon's Scoundrel fragrance.